How Many Harmful Chemicals Are in Traditional Dishware? Family health and safety is a high priority for parents. That’s why they may be surprised to discover that the plastic boxes in which they store their children’s food may not be safe to use. Many plastics manufacturers use chemicals like BPA, PET, and even PVC in their products to make them sturdier and longer-lasting. However, the trade-off may be negative effects on people’s health, as many of these plastics can leach harmful chemicals into your foods. A stainless steel bento lunch box from a reputable bento lunch box company like Kangovou not only saves time, it can also save your family’s health. 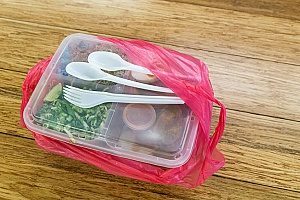 Here’s what you need to know about the chemicals that might lie in your plastic boxes and how to make the switch to a chemical-free bento lunch box. 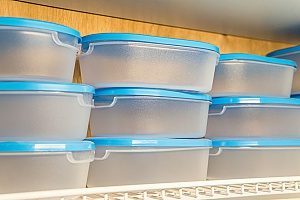 Most families are familiar with Tupperware-style plastic containers, which have snap-on lids and often come in sets. These were first developed in 1946 and gained popularity in the following years, when the concept of the Tupperware Home Party was invented. These parties demonstrated the many ways to use Tupperware products, and similar models have long been a staple in American kitchens. They were the first convenient way to store ingredients and leftovers, rather than using covered bowls or wraps. Many of these products, though, are made with dangerous chemicals that can seep into food, causing a multitude of health conditions. There are several types of plastics that parents should look out for when packing their children’s foods. BPA, one of the most widely-used, can be found in water bottles, can linings, and even baby bottles. BPA can leak estrogen compounds, which can cause hormonal imbalances, and may also increase the growth of fibroid tumors, cause diabetes, and contribute to heart disease. Products made with BPA are generally transparent and marked with a 7 on the bottom. They should never be heated or used to store hot items, as the heat can cause seepage. HDPE plastic, often used in microwave-safe containers, can withstand high temperatures and drops on hard surfaces. As such, it is widely used and considered generally safe. However, there is some evidence that HDPE may also leach estrogenic chemicals into foods. These chemicals can contribute to reproductive damage, disrupting hormonal balances and causing problems with mood swings and physical development. Polystyrene plastics are also common. Better known as styrofoam, polystyrene is made of petroleum byproducts and can be found in various types of foam and plastic cutlery. It is difficult to recycle and can leach styrene, which may be a neurotoxin. Meat, cheese, and other fatty foods are the most likely to absorb styrene before they are eaten, so consider bringing your own glass or metal containers to restaurants instead of using the provided styrofoam boxes. PVC, commonly used for pipes, can also be found in everything from lunchboxes and pencil cases to binders and inflatable pool toys. It’s extremely durable, making it a popular choice for children’s toys. However, PVC has a high chlorine content and can release dioxins, which may cause developmental and reproductive health issues, when heated. PVC dust may also cause asthma and other breathing problems. The plastic has been banned in Europe due to its toxicity and inability to be recycled, but it is still used in the U.S. Families have plenty of options when it comes to safer food storage. Carefully read the labels of any plastic products you’re considering buying, as many are now made without harmful additives, and get rid of containers in your home that are not made of safe materials. Families may also want to consider fabric storage bags and wraps for foods. Many fabric options are organic and dye-free, providing added peace of mind. You can also purchase stainless steel containers, such as water bottles and bento lunch boxes from Kangovou. Kangovou’s lunch boxes are made of a stainless steel body with a BPA-free plastic lid, which snaps on and off easily while still preventing spills. The boxes come in two sizes and are appropriate for all ages, from preschoolers to teens and adults. Bento lunch boxes take up less space in cabinets and backpacks but still hold plenty of food. They’re easy to store and wash, making busy mornings easier and long nights shorter. Kangovou’s bento lunch box comes with a sliding divider, which divides the box into two sides and allows you to pack nutritious meals that have the right portions and a mix of different foods. Best of all, they’re free of harmful chemicals, so you can ensure that your family’s food is as healthy and safe as it needs to be to keep them strong. Visit Kangovou’s website to learn more about safe, efficient lunchbox alternatives for your family.